Get those tissues ready. 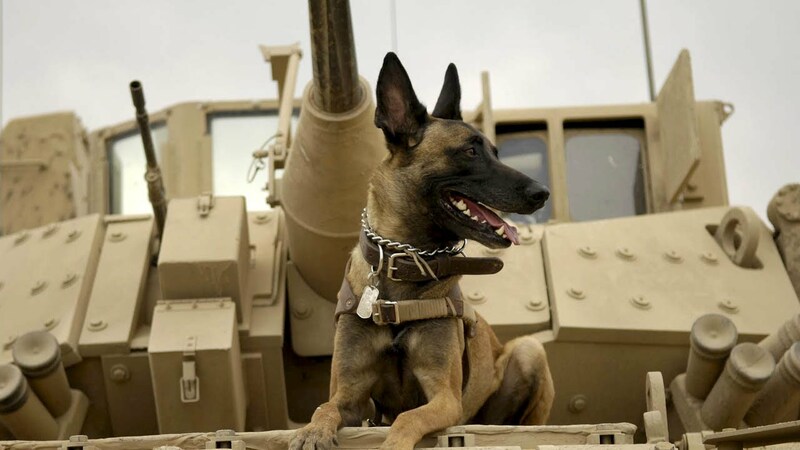 Max, which hits theaters June 26, features a loyal military working dog who can’t trust anyone after the death of his handler, Kyle (Robbie Arnell of The Flash). Kyle’s family adopts the traumatized Belgian Malinois and his teenage brother Justin (Josh Wiggins) slowly works to gain Max’s trust and learn the secret of his brother’s death in Afghanistan. The film co-stars Thomas Haden Church, Lauren Graham, Luke Kleintank, and Jay Hernandez and is directed by Boaz Yakin.